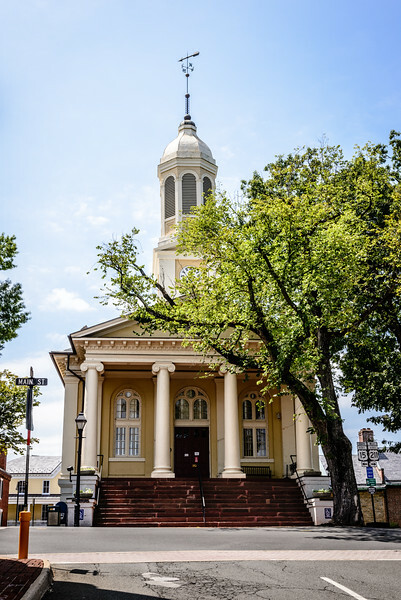 The current Fauquier County Courthouse is the sixth in a county which has only been in existence for a little over 250 years. 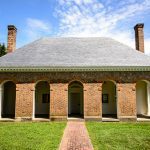 Fauquier County was formed when it was separated from Prince William in 1759. 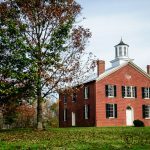 Its county seat, originally known as Fauquier Court House, was incorporated as Warrenton in 1810. The current Courthouse was built in 1890 to replace one built in 1853 which was destroyed by fire. 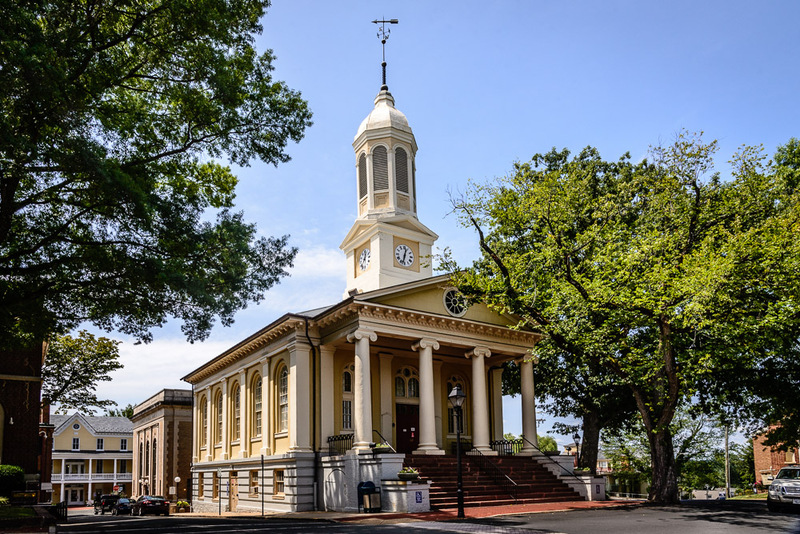 The 1853 Courthouse survived the Civil War. 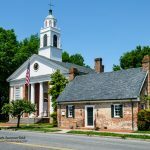 Warrenton was the site of many skirmishes due mainly to Colonel John Mosby targeting the town for quite a few of his raids but most of the historic buildings in the town survived. The fire which destroyed the Courthouse was the result of a celebration of an election victory. On November 16, 1889, the Alexandria Gazette reported: “There was a grand jollification in Warrenton yesterday, as a result of the recent Democratic victory. Festivities were closed last night with fireworks and a bonfire in the Court House lot, in which General Mahone was burned in effigy. Shortly before 9 o’clock the Courthouse building was found to be on fire and the building was almost entirely destroyed”. 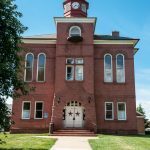 One problem was the the county’s fire equipment had been stored under the porch of the courthouse behind the double arch doors making it impossible to get at, to limit the damage from the fire. A Civil War era sketch of Fauquier County Courthouse published in Harper’s Weekly on September 13, 1862 confirms the generally held belief that the replacement Courthouse looked very similar to the 1853 version. It is also generally accepted that the walls survived the fire in a structurally sound condition. These walls were incorporated into the replacement. Both buildings are predominantly of a Classical Revival style. They also both had the dominant architectural features of the two stage clock tower and four column Ionic portico. Back in 1853, the overall design was deemed quite courageous and sophisticated for a county courthouse. It was quite similar to some of the variations on the classical theme which had begun to appear in the cities during this period, just not in the provincial towns. 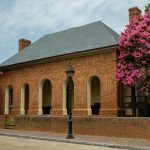 Unlike most of the courthouses we have visited in previous posts, the Fauquier County Courthouse is not separately listed on the National Register of Historic Places. It is, though, one of the major contributing buildings to the Warrenton Historic District. The Historic District encompasses 288 contributing buildings in the business district centered around Main Street and the surrounding residential areas. It was listed on the National Register of Historic Places in 1972. 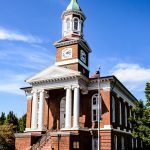 The current Fauquier County Courthouse is the sixth in a county built in 1890 to replace one built in 1853 which was destroyed by fire.